Homefans is raising £100,000 investment on Crowdcube. Capital At Risk. 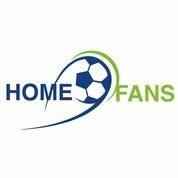 The company, Homefans is a travel start up that provides experiences beyond 90 minutes for international football fans. Since inception just 10 months ago, the team have achieved revenue of £40k and built a community of more than 240 travelers. Football travel for the top 5 EU leagues is worth £1.3bn annually. Information The company had £137,400 of its SEIS allowance remaining at the start of this raise. This will be allocated to investors on a first come first served basis. Any investments made after that limit has been exceeded will not be SEIS eligible but will potentially be eligible for EIS. The potential tax relief of any investment will be confirmed by email to investors, after they have submitted their applications to invest, and will depend on an investor's individual circumstances. We are Homefans, a travel startup providing football experiences beyond the 90 minutes. We believe we are filling the gap for millennial fans who are increasingly looking for travel experiences but cannot find them anywhere in the market. We step in by designing authentic and accessible trips to help fans tick off their football bucket list. Last year, 284 million millennials were on a trip and approximately 75% of millennials would rather buy an experience than a product. Our research suggests that traditional travel operators insist on either offering a basic standard product, the match breaks; or an expensive one, the corporate hospitality. We've positioned Homefans between both of these services, to offer millennials what they want. In a football travel market worth £1.3 billion for the Top 5 European Leagues. At Homefans, we want to show that there is indeed a better way of experiencing football, by offering experiences that are accessible: Travelers go to pub nights, meet local fans or even play a 5-a-side at the club’s training pitch. It’s all about creating unforgettable memories whilst being part of a community of like-minded fans. To see the rest of the Homefans pitch, join now. Join to read more information about the Homefans team, documents, and what other investors are saying about the pitch.